The Big 12 Conference announced several television designations and kickoff times Wednesday for the University of Oklahoma's 2016 football season. OU's Sept. 10 home opener against ULM in a renovated Gaylord Family - Oklahoma Memorial Stadium will start at 6 p.m. CT and be televised on a pay-per-view basis by FOX Sports Oklahoma. The Sooners' Sept. 17 home game against Ohio State will kick off at 6:30 p.m. CT and air nationally on FOX. A start time for the Oct. 8 Red River Showdown between OU and Texas in Dallas has not been announced, but the game will be televised by FS1. And the Sooners' contest at Iowa State on Thursday, Nov. 3, will kick at 6:30 p.m. CT and air on ESPN. It was already announced last month that OU's Sept. 3 season opener against Houston in the AdvoCare Texas Kickoff at NRG Stadium in Houston will start at 11 a.m. CT and be televised by ABC. 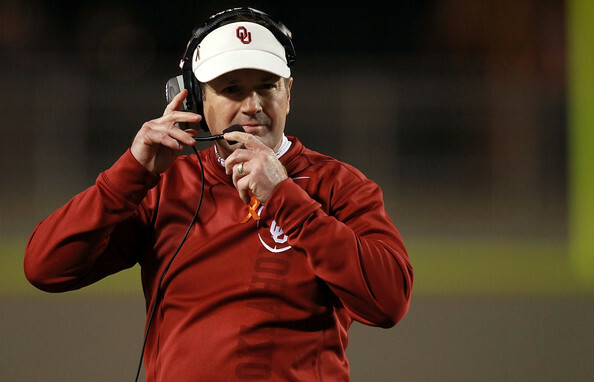 MORE >> Find the latest OU Football news and information. A list of participating program providers offering the OU-ULM pay-per-view telecast and other details will be announced at a later date. Dates and kickoff times are subject to change as adjustments are possible to accommodate television partners' requests. Fans will be notified via SoonerSports.com and the official @OU_Football Twitter account as information is determined for other contests. Why is the Red River Showdown on FS1? Apparently ABC/ESPN had first pick of ND-Texas game. Fox had next two selections, chose Ohio State-OU 9/17 and Texas-OU 10/8. Do you think the Red River Showdown will be a night game? Don't count on it. A Texas spokesman said "no way" would Texas-OU game be a night kickoff.